The global EV market continues to grow at rapid pace, with the 58.000 units delivered in March representing a 37% growth YoY, with last month being the second best selling month ever, only behind the 86k of last December. With this impressive performance, the Model S climbed one position to Second Place, displacing the BYD Tang, which slipped not one, but two positions, because the Mitsu Outlander PHEV did a year best by registering 4.532 units, just enough to displace the chinese SUV to Fourth and recover the Best Selling PHEV title. Below these heavy weights, a lot has also happened, with the Renault Zoe climbing one position to #5, the Chevrolet Volt slowly coming back to its old form, rising one position to #7, while in #10 we have something of an unexpected arrival, with the six year old (An eternity in the EV World) BYD e6 reaching the bottom place in the Top 10, the last time that happened it was way back in 2012, when Tesla was getting ready to put the Model S on the streets, in fact BYD's veteran MPV/wagon is having its best production year ever, which says a lot on the current state of the Chinese EV market. If the leader Nissan had its best result in a year, with 6.902 units, Tesla did even better, with a personal best of 9.636 units delivered, staying only behind the 10k all-time record achieved by BYD last December, speaking of the chinese automaker, they have stepped up deliveries to over 7.000 units, putting pressure on the leader Nissan, only 330 units ahead. Tesla profited from last month the excellent performance to surpass Mitsubishi and reach the last place of the podium, while the race for the Fifth position continues rather interesting, with Volkswagen trying to reach the #5 BMW, but having to look out with the #7 Renault, dangerously close to it. A / City Car - JMC E100 (2.409 units), chinese brands kingdom, remaining positions in the podium also by chinese models: Zotye Cloud EV and Chery eQ. D / Midsize - Ford Fusion Energi (2.772), leader to be dethroned by the VW Passat GTE (1.5k) ? Pick up - Mitsubishi Minicab Miev Truck (36 units), why does no one picks up on this? One of the questions frequently asked regarding EV's is "Where is the tipping point? ", when do sales reach a point of no return and numbers start to grow like a snowball? I believe that it is not one, but several increasingly important tipping points, the first one is the 0.1-0.2% market share barrier, which is more psychological than anything else, leaving enthusiasts happy for starting to watch another EV every other week. Or month. Then, the 1% EV Share. You can see EV's fairly regularly, becoming a relatively common thing in some communities, and even someone (Probably new tech-related) you know has one or is thinking in getting one. Now, 3%. The innovators have embraced the new technology and EV's are ready to take on the more forward-thinking-mainstream, those that like new stuff, but only if it makes sense in their lives and isn't heavy on the wallet. Finally, somewhere 6 to 10% share, the forward-thinking majority accepts the new technology and it becomes something of a new trend, where people buy them because it's the way of the future and, like in so many cases in the past, the average consumer is drawn to the new technology, even if they don't understand it really well, simply because don't want to look outdated in among their peers. Currently, the only market reaching this last, and most important tipping point, is Norway. Hong Kong (5%), Iceland (3%), Sweden (2.6%), Netherlands (2.2%) and Switzerland (2%). The Netherlands and Hong Kong are the most likely to follow Norway and reach the last tipping point, but Switzerland is the most important market to study, because it got here without significant incentive aids. France (1.8%), Belgium (1.7%), Austria (1.6%), UK (1.2%), Finland (1.2%), China (0.9%), Portugal (0.8%), Germany (0.7%), Japan (0.7), USA (0.7) and Canada (0.7%). France, Belgium and Austria are all growing fast, but the really interesting stories in this Tier are China, by the sheer volumes, and also Germany, which in the past didn't had significant incentives for EV's, but will have them in May now, it will interesting to follow the evolution of this market in the following months, as incentives kick in. I believe 1% will be a given, but will 3% by year end be too much to ask? EV Sales will follow this closely. Ireland (0.4%), Estonia (0.4%), Denmark (0.3%), Spain (0.3%), Italy (0.2%), Slovenia (0.2%), New Zealand (0.2%) and Czech Republic (0,1%). This last tier has two special cases, Estonia and Denmark had in the past much higher market shares (2.4% for the first, 2.3% for the second), but because fiscal incentives were withdrawn, they have seen their share dwindle, which brings attention to the fact that the EV market is still very incentive-sensitive, something that it is expected to be less so, when the next generation of EV's (Chevrolet Bolt, Nissan Leaf II, Tesla Model 3...) arrive. Little Andorra at the moment has a stock of 25 EV's, but the goal is to reach 500 in 2019, with generous incentives being given for that purpose: 9.000€ grants, free use of bus lanes, personalized number plates, free annual road tax, free tolls and a free wallbox per new car bought. Did Andorra just copied Norway's EV incentives book? No matter, EV Sales wishes them all the best! Tesla and BYD - Forever Production Constrained? A lot has been said about Tesla, the american brand in the recent past has helped to change people's minds over electric cars, from slow-mobiles, a bit dorkey & nerdy, to become the ultimate cool, a bit like "Tesla might not be the most popular kid in the Automotive High school, but it is coolest". Most recently it was in the mainstream media with its Model 3 and the disruptive force it promises to be (Could it be the first EV to beat the c*** out of mainstream ICE cars? ), but with it came a Million Dollar Question: "Can Tesla handle it?" We can see a limited number of units in the initial year, with the numbers jumping in the first full production year to 22.200 units, then increasing 40% in the second full year and 60% into the third year, with the market expansion taking place over the years, with the peculiar fact that production seems to be always behind demand levels...Something made on purpose? Considering that BYD has had historically at least 30% of the Chinese EV market all to itself, it won't be difficult for the chinese brand to see its production almost all absorbed by its domestic market, leaving little for export plans. The European EV market had almost 24.000 registrations in March, it's second best result ever, representing a 27% increase over March 2015, with the 48.500 units registered so far this year pointing that 2016 will breach the 200.000 barrier, by how much it will depend a lot on how the German EV market will respond to the newly approved incentives scheme...Something that will be discussed in another article, to be published soon. 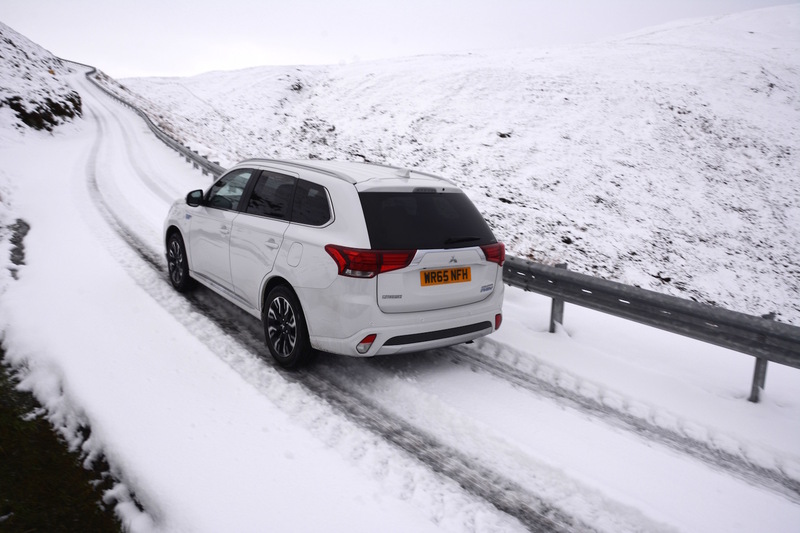 Looking at the YTD ranking, complete reshuffle in the top positions, after two months recovering from December Sales Rush, the Mitsu Outlander PHEV is back at the highest place in the ranking, the Nissan Leaf also surpassed the previous leader Renault Zoe in the 2016 chart, relegating the french all-electric car to #3, while the Tesla Model S jumped five positions to Fourth, with the VW Golf GTE also climbing to #5, surpassing its BEV twin in the ranking e-Golf, down four positions to #9. Looking at the brands ranking, the trophy bearer, Volkswagen (15%, down 1%) has managed to hold on Renault (Also 15% share) in Second Place, but the 216 units difference is too small for the german brand to rest on the laurels. In Third we now have Nissan, with 14% (Up 2%), looking to discuss the leadership with the top two, something that the #4 Mitsubishi (13%, up 3%) and #5 BMW (12%) could also have a word to say. So, five automakers looking for the leadership, interesting times, aren't they? The South African EV Market is into its second full year, with only three models available, the Nissan Leaf and the BMW i offerings, with others said to arrive in the near future, like Tesla. 35 units were sold in March, 25 of them being BMW i3´s, in total about 80 EV's were registered, double the numbers of last year. The BMW i8 and Nissan Leaf make up for the rest of the (small) pack. 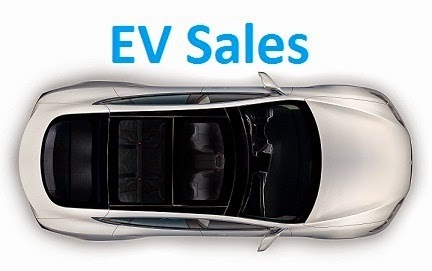 Sales were up a timid 9% YoY, to 2.418 units, with the EV Share steady at 0.74%, which could be explained by the fact that many consumers are waiting for the incentives policy to be finally changed, maybe then the market share finally can reach the symbolic 1% barrier. Looking at the YTD ranking, if the Renault Zoe managed to keep the leadership (No small feat in this EV market), the Nissan Leaf took the Second Place from the hands of the VW Golf GTE, which dropped to Fourth. The Tesla Model S jumped four positions to #6, while the VW Passat GTE climbed one position to #8 and the Volvo XC90 PHEV climbed two positions to #10. Looking at the manufacturers ranking, Volkswagen continues in the Top Spot, with 19% share (Down 1%), followed by BMW (15%, down 1%) and in Third we now have Renault (12%), which managed to surpass Audi (11%), now relegated to Fourth. March was another record month, with 936 EV's registered allowed to double sales YoY, with the 2016 EV Share now placed at a never seen before 1.73%, being this one of the fastest growing markets right now. In March, the Volvo XC90 T8 continued to lead the way, followed by the Tesla Model S and BMW X5 PHEV. Looking at the YTD ranking, there aren't significant changes in the leading positions, with the Mercedes C350e climbing one position to #6, while the Renault Zoe is now #10, up two positions regarding February. In the manufacturers ranking, Volvo is leading (26%), followed by BMW (20%, up 1%), and Porsche in Third, with 12%. As curiosity, there was an additional Toyota Mirai registered last month, elevating the Fuel Cell tally to five units this year, four Mirai's and one Hyundai ix35 FCEV. If we combine March regular hybrid sales with plug-ins, the Toyota Auris Hybrid stayed In #1, followed by the Yaris Hybrid relative, while the rest of the ranking was all Plug-in.